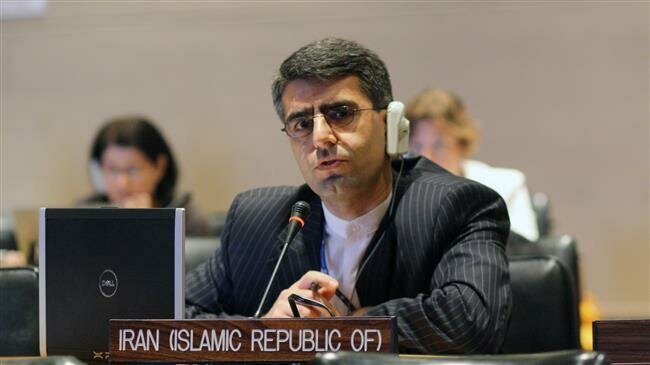 “The appointment of a special rapporteur on Iran is an unjust and unwarranted scheme initiated by certain states in pursuit of their politically-biased attitude against our nation,” Esmaeil Baghaei Hamaneh, the permanent representative of Iran to the United Nations Office in Geneva, said on Friday. During its 40th regular session of the United Nations Human Rights Council on Friday, the body’s members decided to extend the mandate of the special rapporteur for a further period of one year in a Sweden-drafted resolution on the situation of human rights in Iran, adopted by a vote of 22 in favor, seven against and 18 abstentions. “Rest assured such insincere moves could barely contribute to the promotion and protection of human rights,” Baghaei Hamaneh added. He said it is disappointing that Sweden and a few other countries fixate on their “unconstructive and counterproductive” approach against Iran. They keep silent about “inhumane and unlawful” sanctions imposed by the United States, which is a violator of human rights on a large scale, he said. “[The issue of] human rights is a common cause. The abuse of the human rights mechanisms against Iran compromises the sense of solidarity as an integral part of this lofty cause,” Baghaei Hamaneh said. He said Iran has a resolve to maintain its “constant progress in protection and promotion of human rights” and would also continue its engagement with the Office of the UN High Commissioner for Human Rights and other competent UN human rights mechanisms as well as with responsible states that value interaction and dialog. He urges Sweden to “discontinue its harmful and extremely counterproductive pathway” and calls upon the Human Rights Council members to say No to this draft resolution.